“It casts a shadow over the city that they call “new” Stuttgart, raised during the years after World War II. The mountain I stood on is what remains of “old” Stuttgart, razed by bombs dropped by fighter planes. The mountain stands as a permanent reminder to German citizens—and to visitors from all over the world—of the death and destruction that war always brings. It’s the children I weep for most. 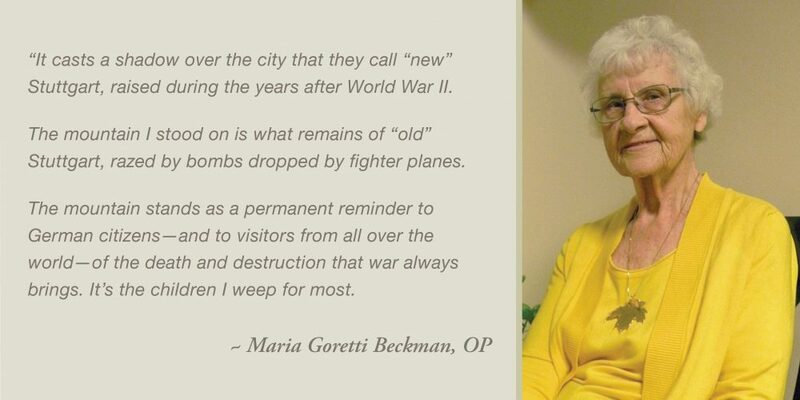 For Sister Maria Goretti, it was her experience on Rubble Mountain that helped form her peacemaker spirit. 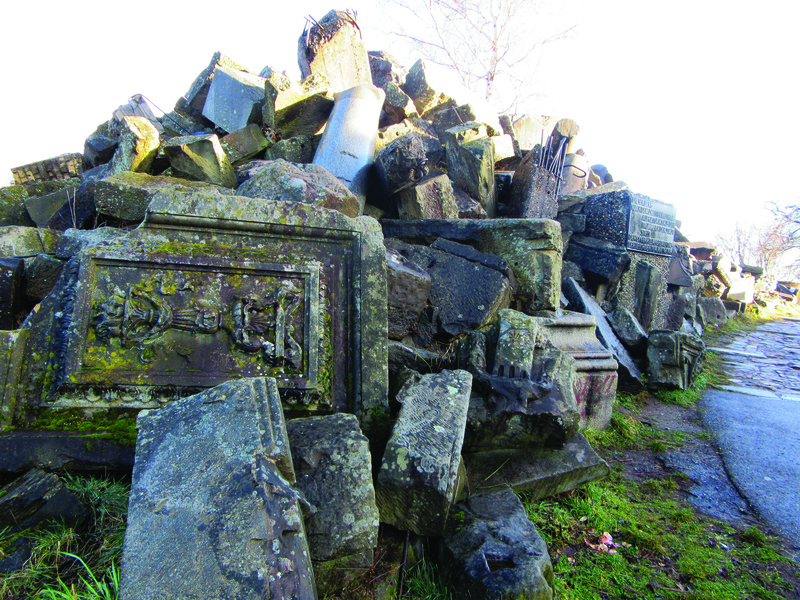 Rubble Mountain, Birkenkopf, in Germany, is a 1,676-foot monument representing the destruction of the past and serving as a permanent reminder of the consequences of war. It led her to Pax Christi. “Pax Christi is people-centered and people-powered, and it raises awareness and knowledge about issues that “WE” as a world community need to care about,” says Sr. Maria Goretti. The people of Pax Christi work for peace through justice: locally, nationally, and globally through prayer, study, and action. Sister has been a member of Pax Christi USA, Pax Christi Michigan, and Pax Christi International since the early 1970s. “I’m very excited to announce that Pax Christi West Michigan is being re-activated,” says Sister Maria Goretti. The group was on hiatus following the death of long-time coordinator Joe Walker. It was one of Dominican Center’s 25th Anniversary Prophetic Voices: John Dear—Catholic priest, pacifist, author and lecturer­—that stirred members of the audience to voice their need to gather and share the peace in their hearts. They approached Sister Maria Goretti and asked if Pax Christi could begin meeting at Marywood again. 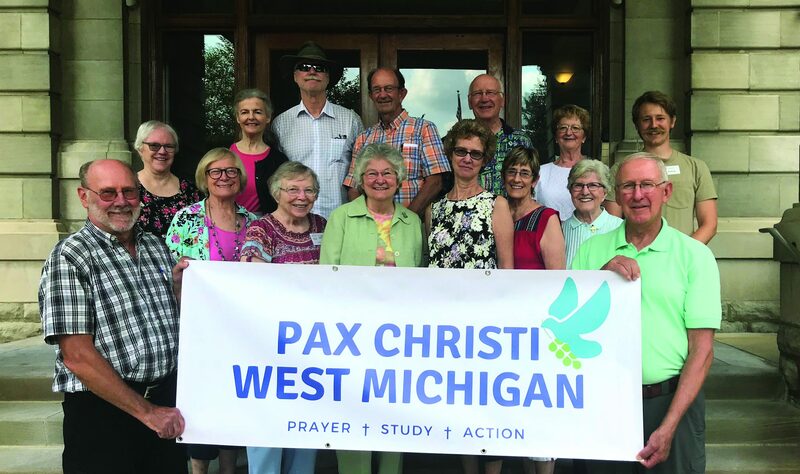 Pax Christi of West Michigan is one of 13 local groups in the state. “We are meeting the third Sunday of each month,” says Sister Maria Goretti who is co-chair with Andrew Harmon, a millennial with a gift for organizing and facilitation. “Engaging with Pax Christi West Michigan is a way for me to be connected to people who have been working for justice and nonviolence for a long time.” Harmon, with Father Lou Anderson and Barbara Hansen, OP, recently staffed an information table at Aquinas College; their goal: to raise awareness among Aquinas students. Harmon is also approaching student groups at Grand Valley State University. Pax Christi began as a Catholic peace movement. “I would like to see groups in every parish offering people of all ages ways to dialogue and advance peace in their own lives. We want to generate conversations that encourage people to put peace and justice first. Instead of people filing lawsuits against one another to resolve issues, Pax Christi dialogues encourage peaceful resolution. We need to teach peace in our schools and end the bullying that endangers children,” says Sister Maria Goretti. Read more stories from the Fall 2018 issue of Mission & Ministry Magazine.